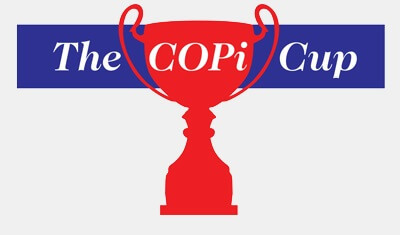 Don’t miss your chance to participate in The 2016 COPi Cup! Two days of competitive golf on Spyglass Hill Golf Course and Pebble Beach Golf Links benefitting the SCGA Junior Scholarship Fund. Four player teams, representing their golf club and consisting of three club amateurs and a club head Professional, will compete in a 36-hole team competition. The COPi Cup will be awarded to the winning team for display at their club during the following year. To reserve your space, you need to pay the team entry fee via the link below. Please contact Murray Joslin at mjoslin@copi.net or 949-212-1965 with questions. The SCGA Junior Scholarship Program is designed to help youth continue their education in college or vocational school. Since 2008, SCGA Junior has awarded $600,000 to more than 60 college students. SCGA Junior scholars are individuals who are role models in their community, hard workers at school and who have grown in character through their experiences with golf. With the support of donations from the 2015 COPi Cup, SCGA Junior was able to increase 2015 scholarship funding to $136,000 and now names an annual COPi Cup scholar in honor of the support of this event. To learn more about SCGA Junior’s Scholarship Program, click here.